The insulation fault locators ISOSCAN® EDS440 are used in connection with the ISOMETER® iso685-D-P or the locating current injector PGH to locate insulation faults in unearthed power supply systems (IT systems). 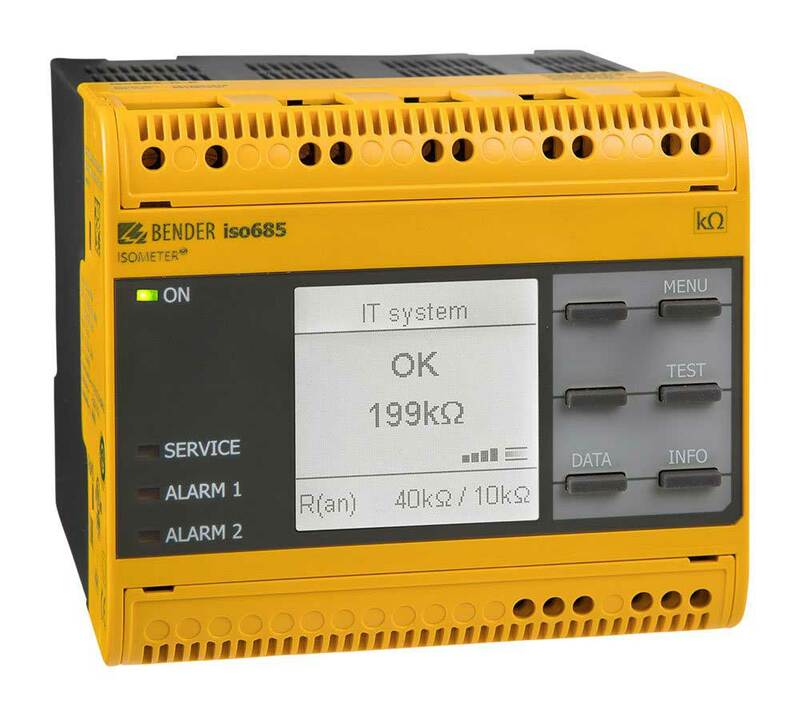 They detect locating current signals generated by the insulation monitoring device iso685-D-P or IRDH575 or the locating current injector PGH and evaluate them correspondingly. 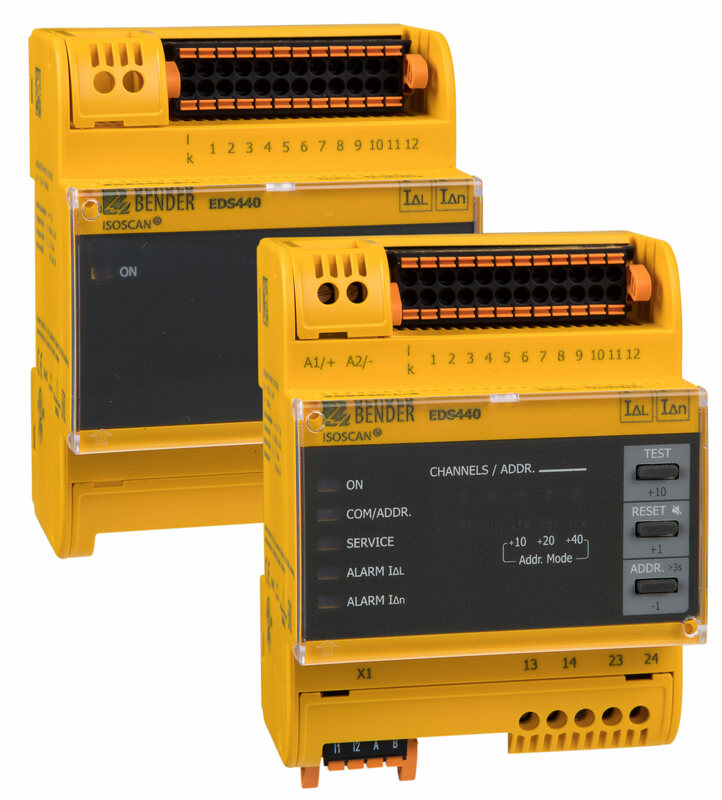 Up to 12 measuring current transformers can be connected to an EDS440. In total, up to 21 insulation fault locators can be connected via an RS-485 interface (BS bus protocol) and thereby up to 252 outgoing circuits can be monitored. The 6-channel residual current monitor RCMS150 is intended for measurement of AC and DC fault currents in earthed systems, which can emerge from insulation faults on loads with six-pulse rectifiers or one-way rectifiers with smoothing. The device can measure residual currents up to IΔ = 500 mA in a frequency range of DC 0…2 kHz. Two separately adjustable response values allow a distinction to be made between prewarning and alarm. 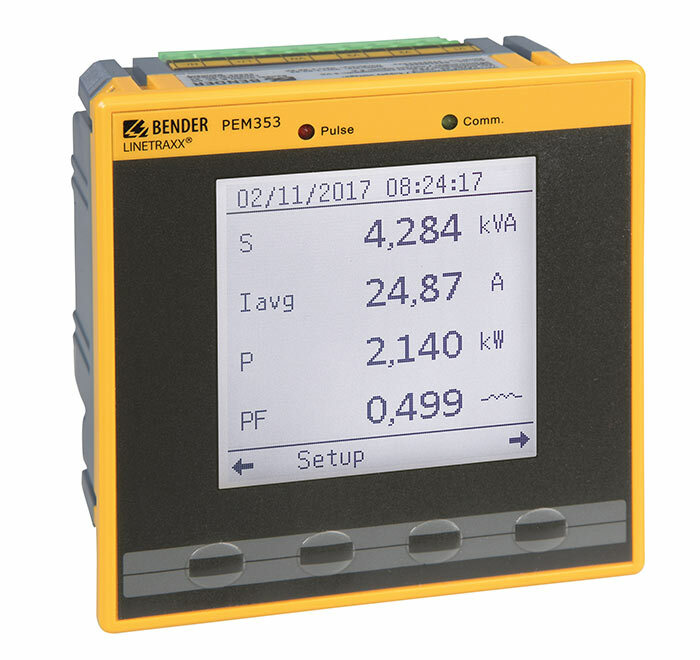 The device features an RS-485 interface which can be used to transfer measured values and alarm values. Setting parameters is also possible via this interface.